With an extensive background working in film, Irving effortlessly transitioned to digital with the RED ONE cameras and the Canon 5D Mark II. 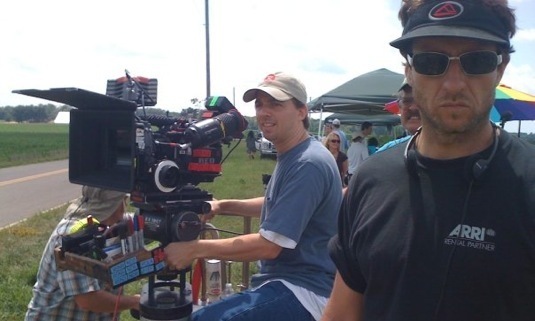 DP Matthew Irving and his trusty “A Camera” operator Imre Juhasz; he’s not scowling, he’s just European! Shooting at night is fraught with unexpected surprises during the hot Nashville summer: those blurry lines near the light are hundreds of large moths! 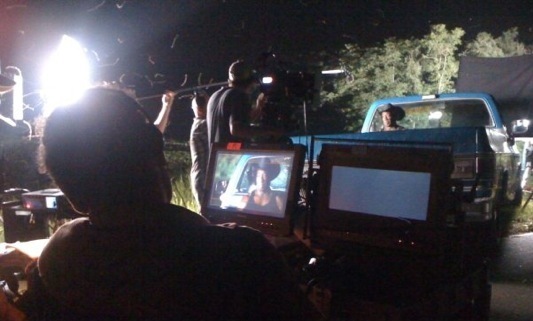 Creation of an iconic image: director Mario Van Peebles and DP Matthew Irving scout out a new spot for their sunset silhouette scene after their initial location falls through. 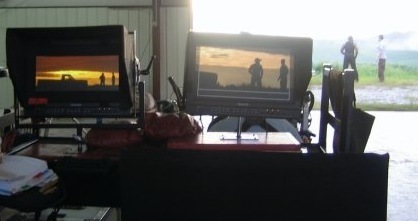 The camera crew takes to the floor for the horizon-level image, and Irving adds the orange hue in-camera with the help of Tiffen Sunset grad filters. 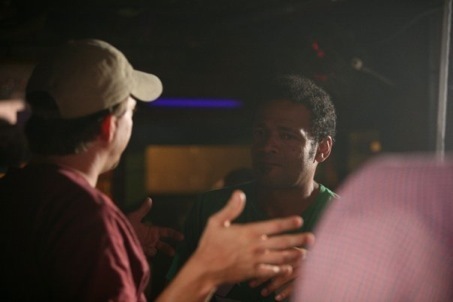 Irving and director Mario Van Peebles (above) fell into an easy creative rhythm together. 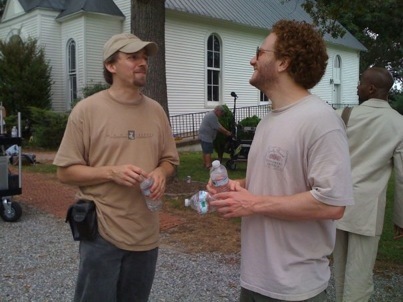 This film marked the third collaboration between Irving and producer Jeff Balis (right).